I’ve found myself in some fun places on my birthday over the years, and Bangkok tops the list — Definitely a memorable place to celebrate another trip around the sun! 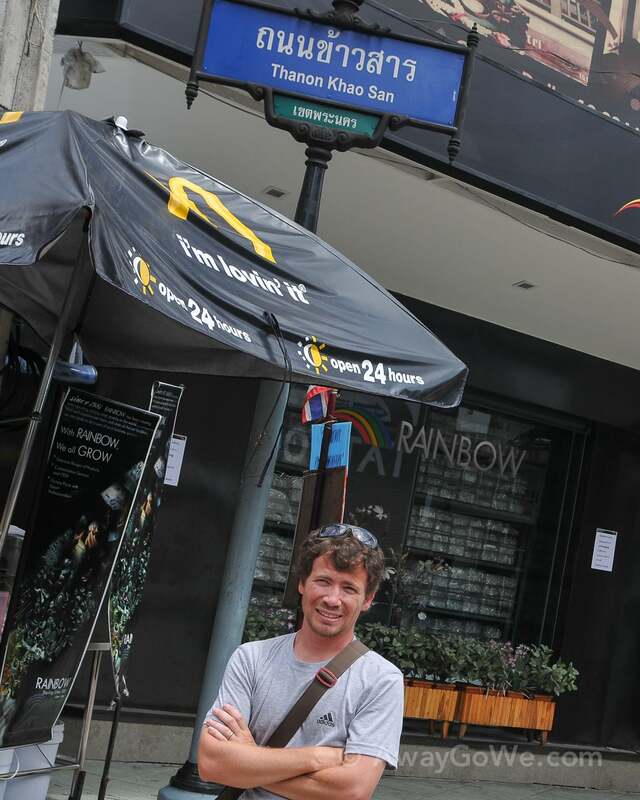 For more background on our month in Thailand in 2012, read Arrival in Bangkok. 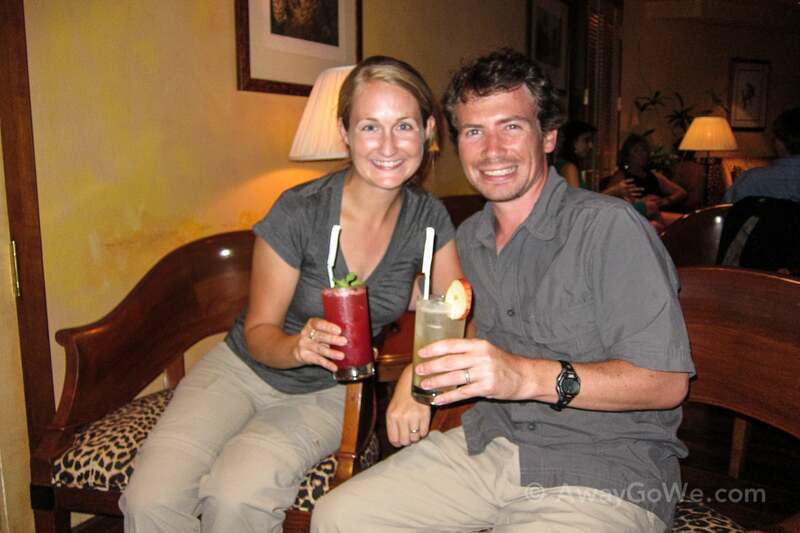 For more on what brought us to Southeast Asia the first time around, take a look at Our Six Month Asia Honeymoon Backpacking Adventure. …yep, certainly not the seedy ruff-n-tumble Khaosan Road of travel literature (immensely disappointing, but not at all surprising). 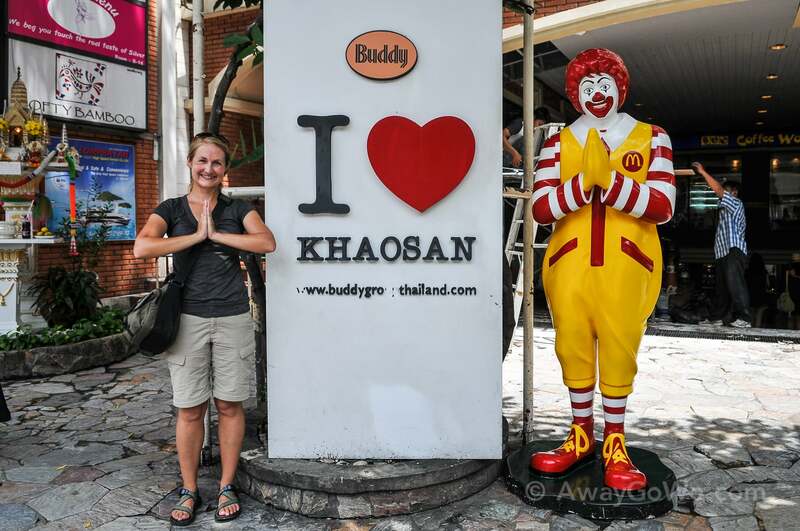 So yeah, there’s a McDonalds on Khaosan Road now. In no time, Starbucks will be moving in. Oh wait…there’s one right on the corner already. 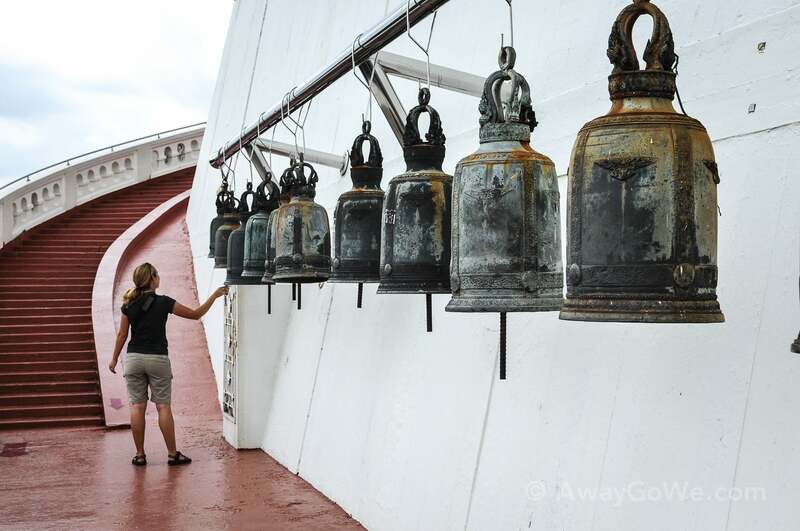 Still, what backpacking trip to Bangkok would be complete without a stroll down Bangkok’s most universally recognized thoroughfare, even if it’s got little to offer these days beyond tourist t-shirts and counterfeit IDs and diplomas. 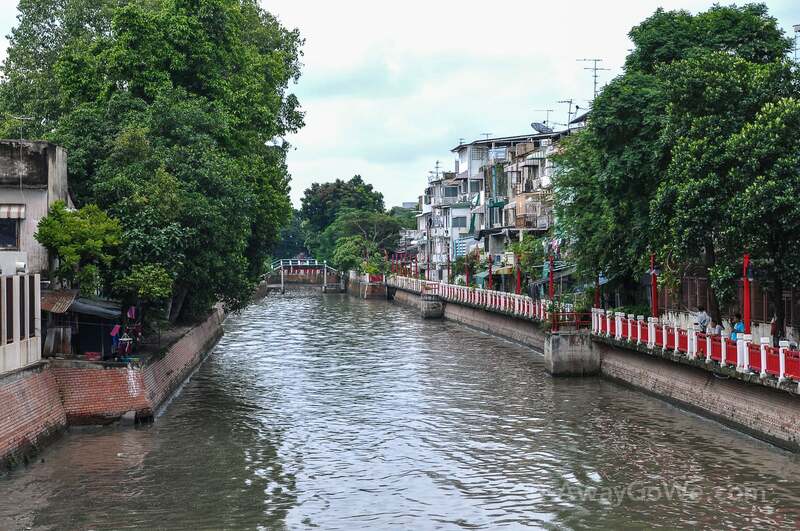 When most people think of Bangkok, they don’t generally think of canals, but Bangkok is a city of canals — some are nothing more than sewage ditches, but others are actually quite picturesque and substantial. 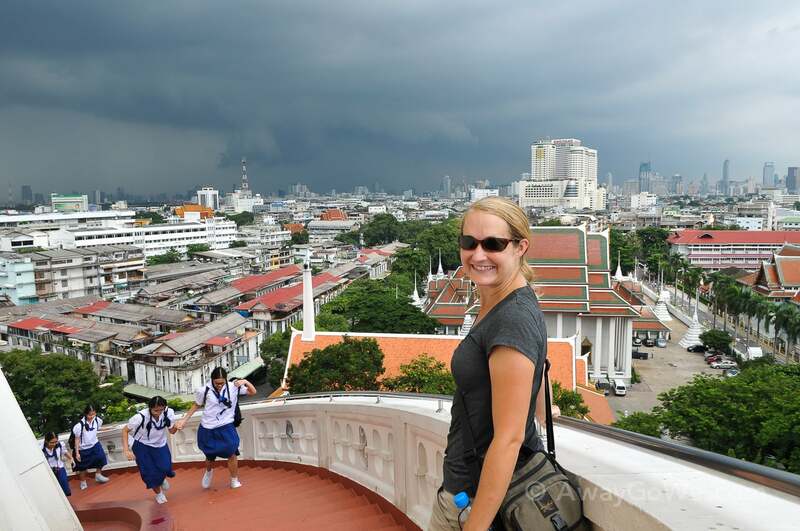 In fact, Bangkok’s Old Town (and yes, Bangkok does have a historic district!) 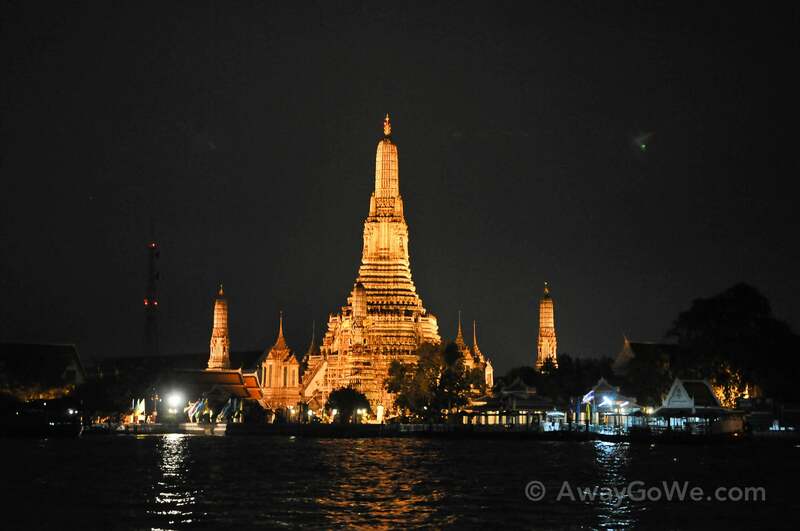 is located on an island, formed by a bend in the Chao Phraya river to the west and a looping canal to the east. 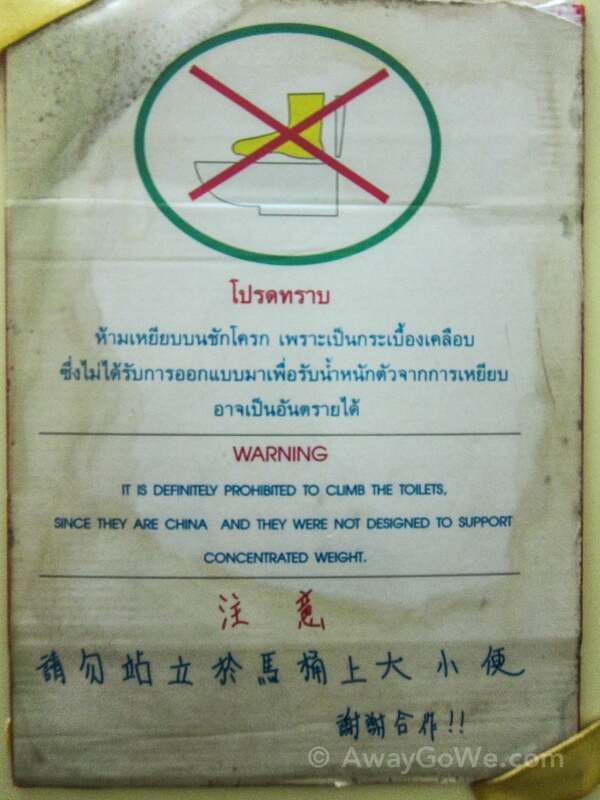 Rattanakosin Island is characterized by low-density structures (well…lower than surrounding areas), and a high density of historical sites, including the Grand Palace. 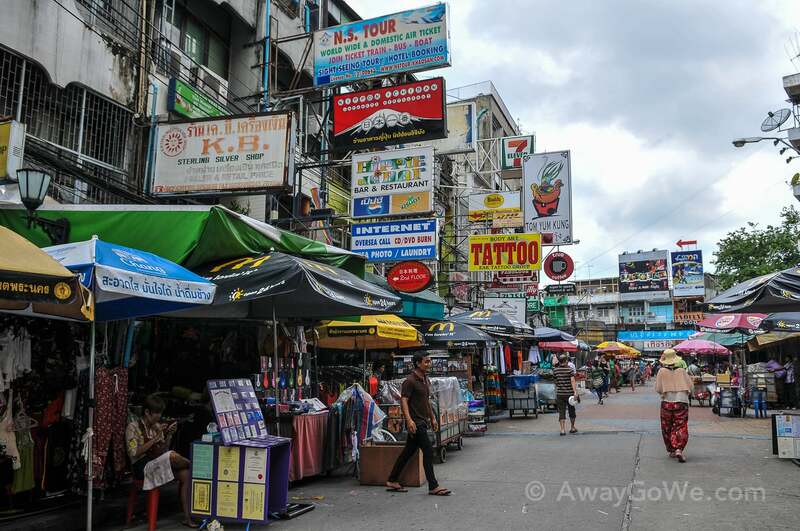 While our lodging and most of our wanderings were concentrated in this part of Bangkok, we also enjoyed exploring Dusit to the north (home of the teak Dusit palace), and Samphanthawong neighborhood (Charoen Krung Road) to the southeast. In our minds, just exploring the city surpassed any one landmark Bangkok had to offer, but one of the more intriguing historical sites was the Golden Mount, which in addition to offering up a very significant Buddha image, also offered sweeping vistas of this vast mega-city, as well as the storm rolling in that evening. 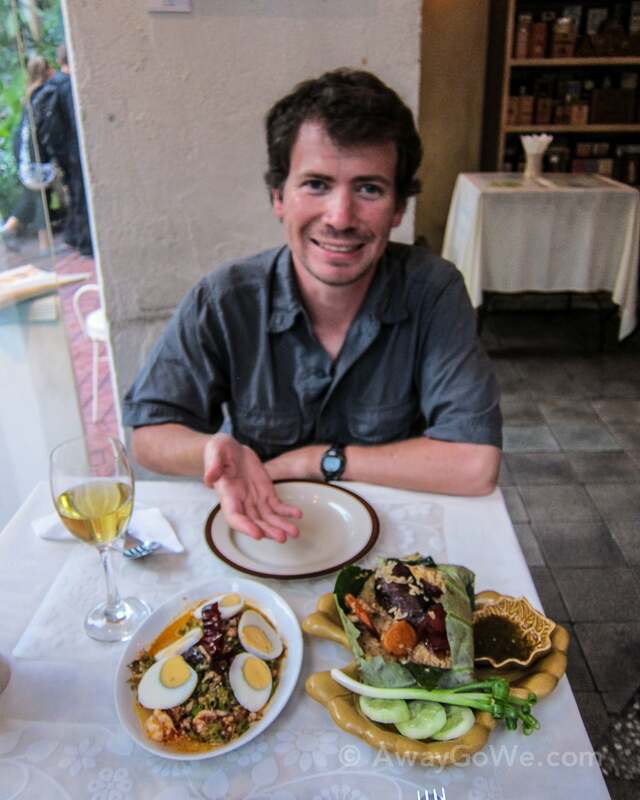 For my birthday, we did something we hardly ever do while traveling — visited a restaurant for dinner for a second time! We enjoyed Hemlock so much, we returned for my special day. And even splurged for a couple glasses of wine! One of the things we had saved for this day was to visit the famous Wat Pho Reclining Buddha, but it closed just as we got there. So, all we could do was continue on to our next stop. Lori does such a superb job of sniffing out great eating and drinking places on our travels that I try my best not to get in the way. 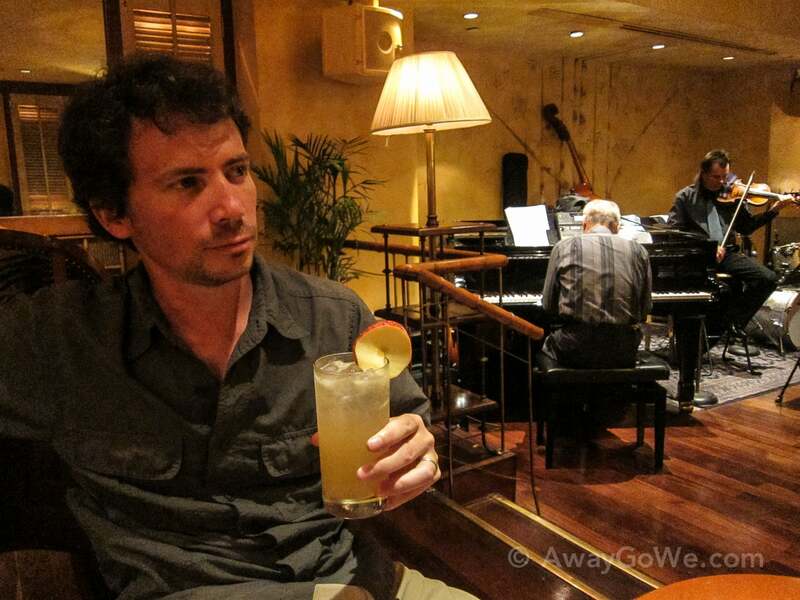 However, I did have one special request for my birthday that hadn’t been on Lori’s radar: the illustrious Bamboo Bar at the preeminent Oriental Hotel. Established in 1876, the five-star Oriental not only holds the honor of first hotel in all of Thailand, but also places consistently as among the world’s best hotels. The hotel, along with its famed Bamboo Bar have long been a haunt for famous authors such as Graham Greene, Joseph Conrad, Norman Mailer, and James Michener. Immediately after reading about this place, I knew I wanted to end the day here. 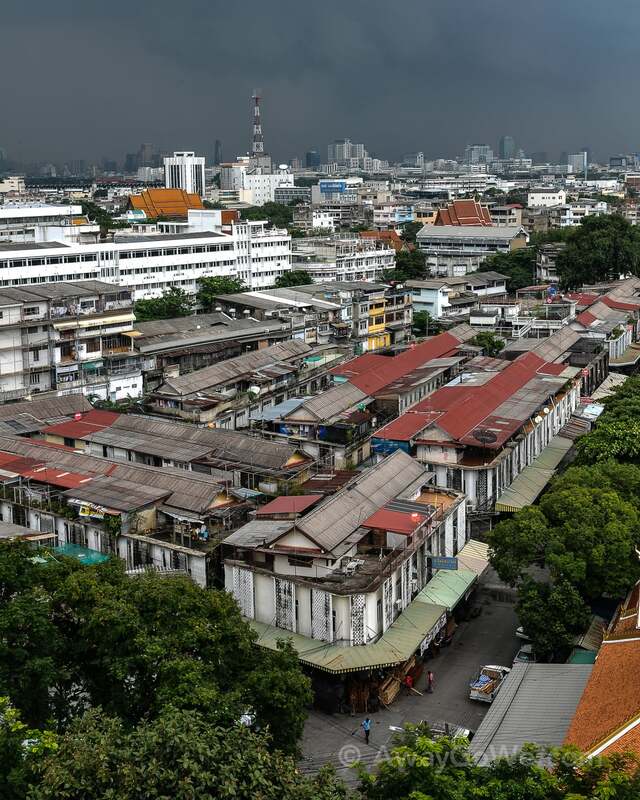 A historical fragment, a remaining piece of elegant, seductive Bangkok — the Bangkok of literature and lore, travel and intrigue — a Bangkok that, for better or worse, is rapidly disappearing. Following a perfect evening, it was time to return to the hotel. 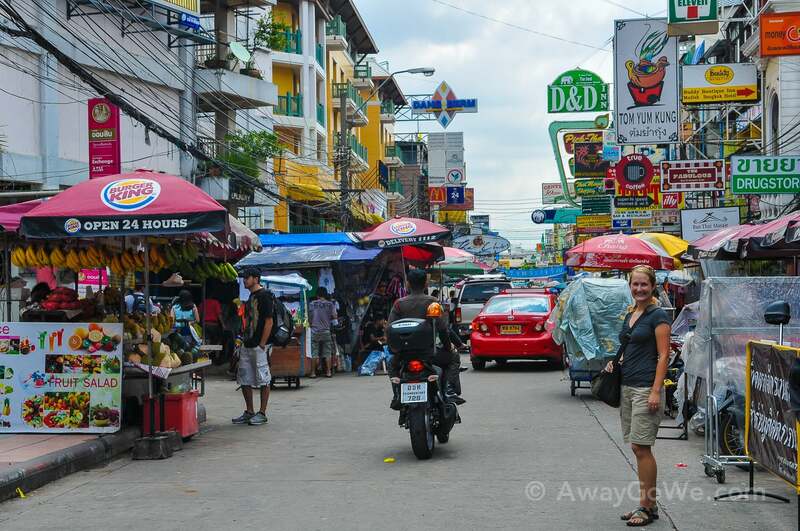 It was our final evening in Bangkok, so we decided to go back by way of Khaosan Road…which may have been a mistake. Lori spotted the 2-for-1 late night happy hour special down a side alley. One last drink? Why not! It’s my birthday, after all. What we didn’t realize is that we had somehow ordered two orders of the 2-for-1 — so, out the beers came! 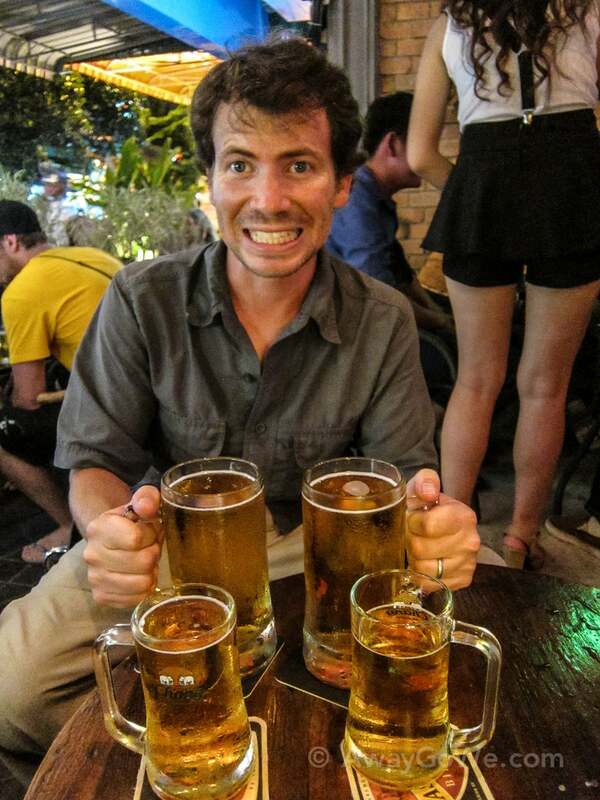 Two reasonably-sized mugs, followed by two not-at-all-reasonable-in-any-country-sized mugs of cold draft Chang beer. So much beer. No doubt, any self-respecting Aussie or German could have downed all four in a matter of seconds, but after nearly an hour these two wimpy Americans only managed to get about 2/3 of the way through before finally, calling it a night. How does it feel now that you have traded out your heavy packs for a real live package? Ha! Well, I wouldn’t say it’s exactly a trade — we now get to carry Noe in addition to our packs! And hopefully soon he’ll be carrying his own!